Trout egg hatching. 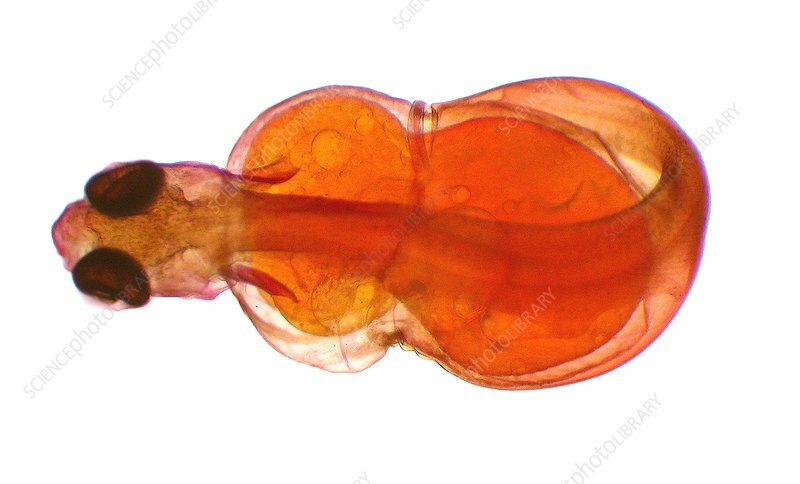 Light micrograph of a trout (subfamily Salmoninae) fry hatching from its egg. This fry formed from an embryo, and will eventually develop into an adult fish. Trout is a term used for several species of mostly freshwater fish, closely related to salmon (family Salmonidae).